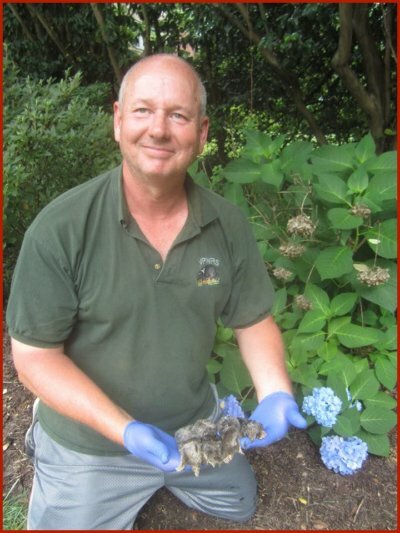 Charlottesville Virginia Bat Removal brings you Virginia Professional Wildlife Removal Services, LLC. 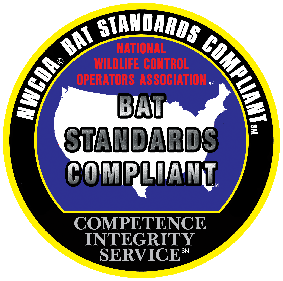 As a local, full-service wildlife control company we take pride in specializing in the removal of bats from homes & businesses in Charlottesville, Virginia. We guarantee our work with a 1-2 year warranty, based on the structure. We handle all Charlottesville bat removal projects humanely, which is required by State & Federal Laws. Charlottesville Virginia Bat Removal done successfully uses a technique known as Live Bat Exclusion. Basically, the process of bat exclusion involves hanging “one-way bat cones” over the primary entry point, which allows the bats to escape the home, but not re-enter. Also, the rest of the home must be completely sealed-up to prevent reentry. 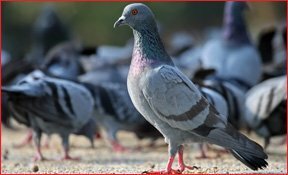 Eddie – A Top Of The Line Wildlife Professional Here At VPWRS! Bats living in attics, soffits, and chimneys are the most common nuisance complaints. Furthermore, most people discover they have a bat problem when bats invade living quarters – which is the first sign of bat infestation. If you’ve had only 1 bat inside your residence, it may potentially be an isolated incident. However, if several bats have been getting inside the home, then bat infestation is likely the cause. In conclusion, determining the root cause of the bat problem demands an inspection. You can trust the good hands and experience of VPWRS. Another successful Humane Charlottesville Virginia Bat Removal by Virginia Professional Wildlife Removal Services, LLC. Also, we safely return these captures to the wild after we close all bat entrances to the home. This bat will never get into this Charlottesville home again! Bats will congregate in large colonies, sometimes ranging into hundreds of individual bats. Larger colonies can cause a whole lot of damage to an attic, mainly due to waste (guano) and urine contamination. Bats will pretty much just show-up in their little gang thinking they can take over your home and go to the bathroom wherever they please… But, the one thing the bats weren’t counting on is our team here at VPWRS being on the job! 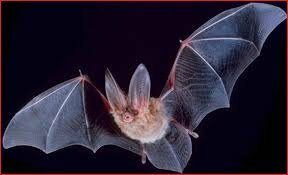 We offer humane solutions to bat problems in Charlottesville by excluding the bats alive & sealing the home completely. Guaranteed Charlottesville Virginia Bat Removal Services – 1-2 Year Warranties For Charlottesville Virginia Bat Removal Projects. To Ensure Security For The Homeowner – We Are Licensed, Bonded, & Insured To Protect Our Clients. Comprehensive Bat Removal & Control Services – We Solve The ENTIRE Problem, Not Just A Part Of It. Experienced Team – We’ve Been In The Bat Business For Over A Decade. Our Experience Is Hard To Match. Ability To Work With Your Insurance Company On Large-Scale Projects. We Care That Our Services Are Affordable. Courtesy & Respect Towards The Customer – We Know Your Home Is Your Domain. We Strive To EARN Your Trust! Thank You For Choosing VPWRS And Remember To Bookmark This Page For Future Reference! Live bat exclusion is the process of removing bats from a building alive and sealing them outside after they have been successfully evicted. After the eviction process had been performed, the bats will be able to seek out a new place to live. This humane process is the only legal method in handling bat problems due to State & Federal Laws governing the removal of bats. Unlike other types of services, such as trapping wild animals, bat removal is much different in the sense that it is a more construction-based service, and it’s not as easy as getting rid of the problem overnight. Hanging the Bat Cone over the primary entry point will ensure the bats cannot access that area again. However, it would not be effective without sealing the rest of the structure. After the bats are excluded from the primary entry point, they will search for another area to get inside. That is why sealing is so important. Missing 1 small gap during the sealing process will grant the bats a one-way ticket back into your house… So, it’s very important to be meticulous during the sealing process. It’s a lot easier said than done, but you get the idea! Since every home is constructed differently, the amount of sealing work we have to do will vary based on the condition of each individual structure. So, as a result, the cost for bat exclusion will vary, depending on the home. There is no “Set Rate” for bat removal. That said, in order to calculate the exact cost, a full-home evaluation must be done. Sealing A Dormer On A Home In Charlottesville, VA So The Bats Could Not Re-Enter. Older homes naturally have more gaps, so the cost for bat removal will generally be greater on older homes. When considering cost, the condition of the home is everything. That said, we’ll now give you an idea of ballpark cost. For an average 2-story home with relatively good construction, bat exclusion will start-out around $1200-$1800, and it goes up from there. We’ve worked on larger and/or poorly constructed buildings for 3-4 times that cost. Like we said before, pricing is all dependent on the size and condition of your home. The number of bats is irrelevant because the bat exclusion process is performed in the same way, regardless of the number of bats. However, the more bats you have = the more damage that probably needs fixed. Bat droppings and urine can severely damage an attic, but we can help you with all of that, too! THE PHOTO BELOW SHOWS A USELESS ATTEMPT TO EXCLUDE BATS WITH FOAM. AS YOU CAN SEE FROM THE BAT GUANO, THE EFFORT FAILED. VIRGINIA PROFESSIONAL WILDLIFE REMOVAL SERVICES, LLC, THE CHARLOTTESVILLE VIRGINIA BAT REMOVAL PROS, WILL HANDLE BAT REMOVAL CORRECTLY. GUARANTEED! Generally speaking, it can just be a stroke of bad luck when bats invade your home. They could have just as easily got inside the neighbor’s house. However, that is not always the entire truth. Science has found that bats which were born inside man-made structures are far more likely to invade a building once they reach adulthood. Living in a home is much preferred for these types of bats, because they are used to the benefits a man-made building provides. The majority of bats are born in natural environments, but as more of that natural environments is destroyed in order to construct homes for people, the more common bat infestation becomes. These animals have been here a lot longer than we have, so they are simply adapting to the changes humankind has forced upon them. 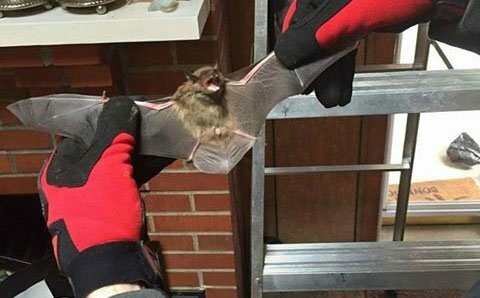 Charlottesville Virginia Bat Removal specialists Virginia Professional Wildlife Removal Services don’t want you to confront the sharp teeth of a bat flying in your home. 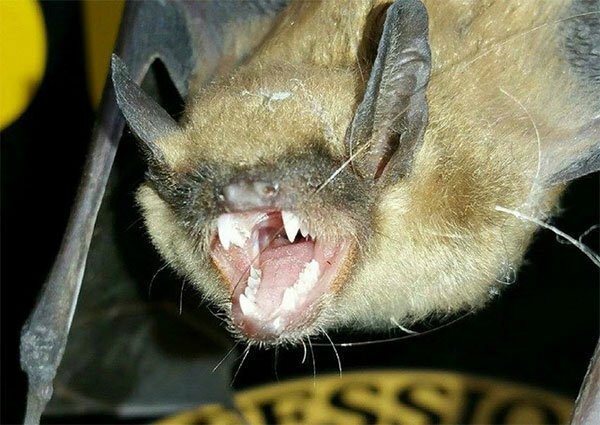 Please call us at (804) 457-2883 so you don’t face a bat bite in your home. Bats prefer living in man-made structures due to the ideal conditions the home offers. Such as, for raising young, and being sheltered from outside conditions. Wouldn’t you rather live in a nice comfy attic, as opposed to a damp cave or log? Sure you would. And so do the bats! 99% of the time, bats invading a home will be congregated in what is known as a “maternity colony.” Maternity colonies are a group of bats which are all female. They join together to work as a team in raising their young. They also congregate for the purpose of cuddling together to share body heat. That’s right – in order to stay warm, bats will “ball up” to form one big comfy bat ball. Some bats stay up north to hibernate, while other species migrate south for the winter. The most common home-invading species of bat is the Big Brown Bat. 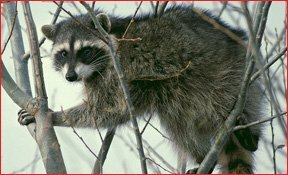 They hibernate inside your attic during the winters, preserving as much body fat as they can. 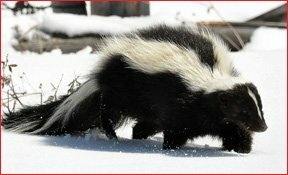 To preserve their fat, they must avoid burning calories by not moving around much. 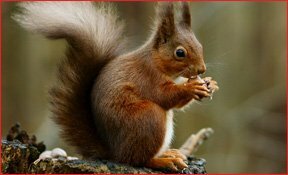 Burning calories during hibernation = death by starvation. So it’s unwise to disturb a bat colony during the winter months. In conclusion, count your lucky stars that you were born human, and not a bat! Going Batty Because Of Bats? Don’t Suffer Any Longer! Call VPWRS For All Your Bat Removal Needs In Charlottesville, Virginia & Surrounding Areas. Call Us For Fast Service NOW! Bats In The Attic? When bats invade an attic space they are likely to build up large amounts of guano deposits scattered throughout the attic. 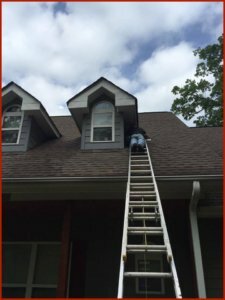 Virginia Professional Wildlife Removal Services can provide attic cleanup when bats make a mess. Seen Bats In The Chimney? Bats are very common to invade the chimney area. Many people will get bats flying around in the house when bats are present inside their chimney. This is generally due to an open flu in the chimney. Bats In Vents? Vents can be highly attractive to bats because of the drafts protruding from the vents. People will often notice bats in vents when waste begins to accumulate somewhere below the vent area. How about Bats In The House? The hot summer seasons can drive bats to come down from an attic into living areas. Bats do this because the attic becomes too hot for them, so they go lower seeking cooler temps. Bats In Church? One of the more common structures for bats to invade are churches. Many times churches have open steeples, welcoming many different creatures including bats. 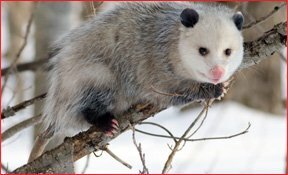 Virginia Professional Wildlife Removal Services can help.